FYI as well, he is quite a player as well, still under-rated in H2H and FUT. English born left back, who has only played for US youth squads. Officially accepted his first senior call up to the US squad yesterday. All other suggestions are being reviewed. Thanks for your continued feedback! Can we do this for transfers? @Jack5v why is Bozok french in FUT? He is turkish for months on h2h now. 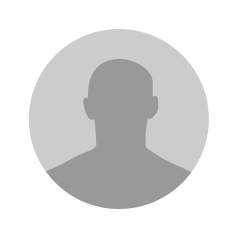 Source: https://national-football-teams.com/player/49070/Christoffer_Mafoumbi.html - 19 time Congo international since 2012. What? Source: estac.fr/actualites/18346/les-comores-ont-battu-la-mauritanie.html - Comoros international since 2017. Source: tff.org/Default.aspx?pageId=526&kisiId=1552589 - exclusive Turkey international, U15, 16, 17, and 18. Source is Turkish Federation site. Source: https://sport.defimedia.info/match-amical-bru-offre-filho-sa-premiere-victoire - Mauritius international as of last international break, capped vs Macau. Source:[url=":rtp.pt/noticias/selecao-nacional/rui-cacador-chama-estreante-stanislas-oliveira-para-toulon_d265349"]:rtp.pt/noticias/selecao-nacional/rui-cacador-chama-estreante-stanislas-oliveira-para-toulon_d265349[/url] Represented Porugal at 2009 Toulon Tournament, scoring in only appearance. 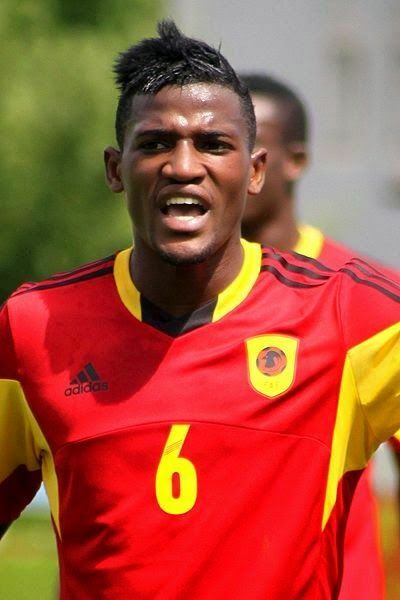 Source: https://bzbasel.ch/sport/basel/der-fcb-sehnt-sich-nach-dem-durchbruch-eines-eigenen-talentes-was-angola-damit-zu-tun-hat-131545481 - Born and raised in Luanda, Angola. No French caps, plays in Switzerland. Source: uefa.com/teamsandplayers/players/player=250051097/profile/index.html - Born and raised in Dakar, Senegal. No French caps, hardly spent time there. Source: dzballon.com/2016/12/21/a-la-decouverte-dismael-haddou-valenciennes-fc-ligue-2/ Born and raised in Beni Saf, Algeria. Declared for Algerian NT. Source: footmercato.net/ligue-1/info-fm-a-la-decouverte-de-theodore-effouba-ayissi-jeune-espoir-du-fc-metz_190478 - Born and raised in Yaounde, Cameroon. No caps for France. Source: sofoot.com/fabien-tchenkoua.html - Born and raised in Nkongsmaba, Cameroon. No caps for France. Source: https://int.soccerway.com/matches/2015/06/06/world/friendlies/burkina-faso/cameroon/2030700/ - Born in Douala, Cameroon. Cameroonian international since 2015. Source: https://francefootball.fr/news/Pourquoi-maxime-lopez-milieu-de-terrain-de-l-olympique-de-marseille-peut-jouer-pour-l-algerie/760842 - Represented Algeria U17 at 2009 U17 WC. Source: skysports.com/football/senegal-vs-uzbekistan/teams/388655 - Senegal international as of latest round in March v Uzbekistan, may get callup to WC. Source: https://national-football-teams.com/matches/report/19459/Togo_Madagascar.html - Madagascar international, as of latest round v Togo. Source: https://us.soccerway.com/players/herve-lybohy/87538/ Born and raised in Bouake, Ivory Coast. No French caps. Source: midi-madagasikara.mg/sports/2017/11/13/football-amical-les-barea-tenus-en-echec-par-les-coelacanthes/ - Madagascar international after latest round, capped vs Comoros. Source: https://thesun.co.uk/sport/football/5863228/japan-vs-mali-live-score-latest-updates/ - International for Mali, capped against Japan this March. Source: https://francefootball.fr/news/Pierre-sagna-je-me-suis-recrute-au-real-dans-fifa-16/639711 - Born and raised in Dakar, Senegal. Declared for Senegal NT. Source: sport-ivoire.ci/node/18369 - Represented Ivory Coast U23s against Burkina Faso U23s in 2016. Source: https://theworldgame.sbs.com.au/match/2749337/kuwait-vs-cameroon/live - Cameroon international, capped against Kuwait in latest international round. Source: https://theguardian.com/football/2018/mar/27/tunisia-costa-rica-international-friendly-match-report - Tunisia international, capped in last round in March v Costa Rica. Going to the WC, so you might want to change this one. Source: https://national-football-teams.com/player/69099/Mohamed_Fares.html - Algerian international, capped against Cameroon in November 2017. Source: https://national-football-teams.com/player/70921/Bryan_Dabo.html Burkina Faso international, capped by both internationals this past March. Source: https://uefa.com/teamsandplayers/players/player=250091820/profile/index.html - Most recently U21 international for Kosovo, 4 caps. Source: hns-cff.hr/en/players/402408/dominik-martinovic/ - Most recently Croatia U19 international. Source: https://rot-weiss-erfurt.de/Saison/Profis/Profimannschaft/Liridon-Vocaj.html - Born and raised in Pec, Kosovo. No caps for Germany at any level. Source: fss.rs/index.php?id=21&aid=6381&page=188 - 4 Time youth international for Serbia U19. Source: cafonline.com/en-us/competitions/19theditionoftheafricanu-20championship,senegal2015/MatchDetails?MatchId=r9k422r9TpYGB1D8iwddxs8tGh4b0i232rcq2OmpI%2f9vsrymVqYxNous%2fSWhS%2fiW - Cameroon U20 international, and born in Douala, Cameroon. Source: prizrenpress.com/slide/zyrtare-talenti-shqiptar-nga-prizreni-promovohet-ne-ekipin-e-pare-te-wolfsburgut-foto/ - Born and raised in Prizren, Kosovo, to Kosovan parents. No German caps. Source: tff.org/Default.aspx?pageId=526&kisiId=1617517 - Most recently a Turkish youth international, source is Turkish Federation site. Source: https://bild.de/wa/ll/bild-de/unangemeldet-42925516.bild.html - Born and raised in Tirana, Albania. No German caps at any level, brother is Albanian international. Source: tff.org/Default.aspx?pageId=526&kisiId=1170346 Turkey U21 international, never capped for Germany at any level. Almost all the sources list his birthplace as Copenhagen, Denmark. Don't find anything saying otherwise. He's of half German descent, but I think that's as far as his German connection goes. Hey @EA_Andy I have a big issue, so there is this player in Denmark who was born in Colombia, but he got adopted by danish parents. Does the rule apply about a player should be from the country he was born in if he doesn't have an international cap to him as well then? Roberto Massimo is currently Italian but he was born in Ghana and never played for Italy. He should be Bulgarian, played one game for their U21.